Very Effective and the Best Treatment for Acne Scars! Nobody likes scars on any part of their bodies and especially not on the face! It’s still manageable to get rid of acne but the mark they leave behind will turn into scars and that grabs more attention than your face! These pimples can be treated by some simple natural ingredients that you will easily find in your kitchen. Few natural Ingredients that are rich in anti-bacterial and anti-inflammatory properties will help you get rid of acne as well as acne scars. The scars are a little stubborn as they take more time as well as more efforts. Nonetheless, everything is possible for a willing heart to see! With some extra efforts, you can definitely get rid of acne scars. Some of the best treatment for acne scars are listed by us in this article. Get ready to get amazed about how some natural and homemade bleaching agents can help you part ways with those stubborn acne scars! Read on! Before we actually get to business, let’s see how we can prevent ourselves from developing acne scars! Doing so we can at least avoid acne scars in future and save the pain of treating them all over again! There are few things you need to avoid so that you keep yourself away from developing scars. It’s not mandatory that you have those deadly scars even if you have developed pimples see! Let’s get started! Let us admit! We all are guilty of rubbing those pimples with our hands in the attempt of removing them. What’s the whole point? Neither the acne disappear nor they lessen in size! They, in fact, seem irritated and multiply more in number. It leads to more bacterial activity causing more pimples around that region. If you want to save yourself the pain of removing 20 acres instead of just 4 or 5, stop playing with your acne! When you expose your skin to the hot sun, there are high chances that your acne will darken. This will make your acne more evidently visible. Thus avoid excessive exposure to the sun. Make sure you apply sunscreen in order to keep away from the sun. This one although might sound a little difficult to follow especially for those living in traffic-prone areas is a must do trick for lessening acne. When you expose your acne to dirt and pollution, there are high chances that the dirt particles will get deposited in the acne causing multiplication of acnes. Thus make sure you cover your face with a shawl or an umbrella when you’re stepping out in dirt or pollution. That was how you can prevent yourself from developing acne scars! Now let us peep into treatment for acne scars at home! These natural remedies for acne scars are surely going to come handy! This is the easiest home treatment for acne scars. Aloe Vera is a wonder herb that helps to soothe out the swollen skin and regenerate damaged tissues which boost up the healing process of your scars. Aloe vera has been a regular ingredient in most of the beauty regimes. 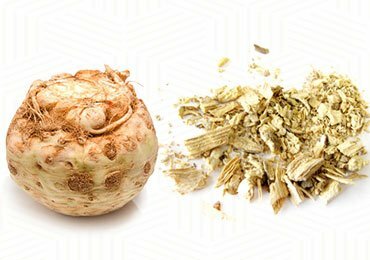 With it inherit properties, it helps you to part ways with the acne as well as the acne scars. We recommend you to use the aloe Vera gel directly from the actual aloe vera leaf. If aloe Vera is not available naturally, then you may choose to use the over the counter cosmetic products containing aloe vera gel. You need to cut a fresh leaf of aloe vera and peel off the green leafy part carefully as there are small thorns. Take the gel part separately and directly apply the gel onto your scar area. Another alternative is to apply the aloe vera gel available in the market. By doing so, the scars will lighten by the day and you will also notice a natural bounce to your skin. Natural glowing skin with no acne scars left behind is the end result! Start using this trick twice a day for about 2 weeks to see noticeable results. You will be shocked to see the difference! Yes! Heard us right! Tomatoes not only serve as a vegetable in the kitchen but can also be used as a beauty ingredient! The red tomatoes that are ripe can help eliminate the acne scars from your face. This can also be used as a facial treatment for acne scars. This is well tested natural treatment for acne scars. Tomatoes that are rich in vitamin C and citric acid will act as a natural bleaching agent that lightens your scars. This is the simplest treatment for acne scars. All you need to do is gather some fresh pulpy red Tomatoes which are ripe. Crush these tomatoes to extract the pulp out of it. Store it in a spray bottle can or a small cup in a refrigerator for best results. Spray this mixture thrice a day to all the areas that have acne scars. The other alternative is to just apply this as a facial mask. Leave it for 20 to 30 minutes and wash it off with clean water. Cocoa butter is an amazing moisturizer that has excellent moisturizing properties making it a “must add” ingredient in almost all moisturizing products. It works wonders for you if you are trying to get rid of acne scars. Cocoa butter is an excellent emollient that can easily penetrate through different layers of your skin. It goes deep into the skin until the layer of the dermis. It reaches to the layer that is responsible for the appearance of scars and gradually moisturizer that portion which in turn makes your scars disappear gradually. Also, we all are probably aware of the fact that a skin that is well nourished and moisturized makes the scars and other spots less evident to notice! That’s how cocoa butter does the trick! Buy some cocoa butter from the market and preserve it in the refrigerator. Before you hit the sack in the night, apply cocoa butter directly to your face. Make sure that your face is clean and free from dirt before you apply. You might have to wash your face with clean water for this. Leave the cocoa butter on your face overnight and wash it off with lukewarm water in the morning. You can also apply cocoa butter in the morning. But the hitch with application in the morning is that cocoa butter might give your skin a greasy look! Thus going for night application is recommended. Thus, by doing this simple DIY trick you will see that not only does your scars vanish by the day but also you’ll see that your skin looks smoother and glowing. Lemon juice is one of the top home remedies for acne scars. Lemon that is very easily available anywhere can be used as an everyday beauty ingredient for the treatment of acne scars. Vitamin C that is available in abundance in lemon helps to rebuild the collagen. Using lime juice on the acne scars makes the scars and spots appear lighter as and when time passes by. It can also make your freckles fade away and also lighten the acne scars. If you are suffering from swollen red pimples, lemon juice is again the savior! Try This Out! It’s Definitely Worth Trying! All you need to do is grab the lemon that’s lying in your fridge and squeeze out the juice out of it. Use can use a small cotton ball to dip in the juice and apply it slowly onto your acne scars. If you find the citric acid way too harsh on your skin, you may choose to dilute this juice by adding some water to it. Leave the juice on your acne scars for around 30 minutes and later wash it off with clear water. Another alternative you can do with the lemon juice is to add some honey to this and then apply this mixture. This also dilutes the citric acid content in it. One thing you need to note when you have applied lemon juice is that when you are stepping out in sun after application of lemon juice, make sure you apply sunscreen. Your skin becomes more sensitive when you have applied lemon juice and would react with sun rays. Thus apply sunscreen to save the pain! Repeat this procedure for 2 to 3 weeks to witness results yourself. 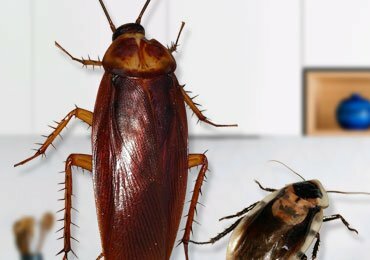 This is the skin care ingredient that is going viral in the market these days. It has come to spotlight only in recent times and has been working wonders for many people. It moisturizes your skin and thus making the spots and scars less noticeable. It also hydrates the skin helping the skin to get rid of dead skin cells and develop new cells. Deficiency of this vital vitamin might give rise to more acnes. Thus it’s a very important ingredient that needs to be consumed by your body. If you have to include vitamin E in your diet, then that can be through vitamin E oil that can be added to your regular cooking oil for preventing yourself from developing acne. 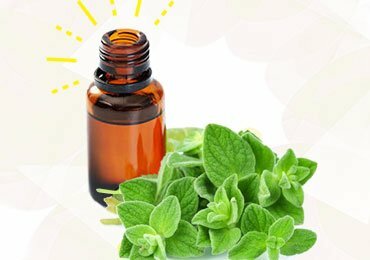 How to Use Vitamin E Capsule to Part Ways with Acne Scars? Buy vitamin E capsules from the nearest medical stores. Do not refrigerate it. Steam your face with hot water so that all your skin pores are opened up. Now, puncture the vitamin E capsule that you have bought and extract it’s oil. Apply the oil on your skin that has acne scars. You can massage your skin area with circular strokes for around 15 to 20 minutes until you feel all the oil is absorbed by the skin. Let it stay there for half an hour and wash it off with clean water. Doing this regularly will amaze you with its results! This is one of best natural treatment for acne scars. Olive oil is the powerhouse of many vital vitamins like vitamin A,C,D,E, and B2. All these vitamins will highly nourish your skin and help you lighten the acne scars. Olive oil is very rich in antioxidants and iron that helps in natural cleansing techniques. Through the application of olive oil, the dead skin cells are removed and it gives space for the development of new skin cells. You will need olive oil, some lukewarm water and the clean towel for doing this. Apply olive oil to your face evenly before going to bed. Now dip a clean towel into lukewarm water or hot water as you prefer and place it on your face. This steam is going to help you open up the skin pores and ensures that the olive oil is well absorbed by your skin. You can also massage the oil on your face for best results. Do not leave olive oil overnight. You need to wash the oil after 10 minutes once the message is completed. Repeat this procedure for about 2 weeks to notice the results. 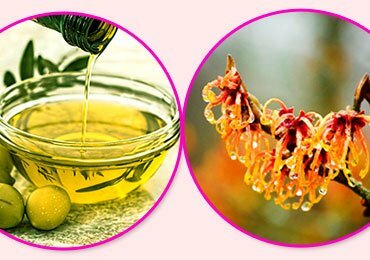 Those were some of the best natural homemade treatment for acne scars that can come handy if you want to get rid of acne scars. 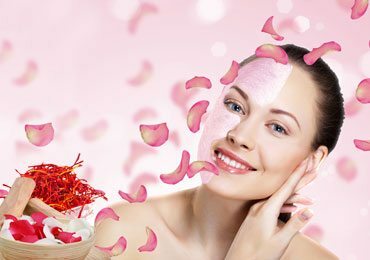 All the remedies are well-proven ones, but the hitch is that it is you who have to discover which remedy suits the best for your type of skin. You might begin doing this by adopting the trial and error method. Gradually, with experience, you will learn which treatment for acne scars works for you the best! You need to maintain patience throughout. Expecting that you can easily part ways with acne scars just by doing the tricks for a couple of days is not going to help. All good things for those who wait to see! So whatever the trick you follow, patience is going to help you in the long run! 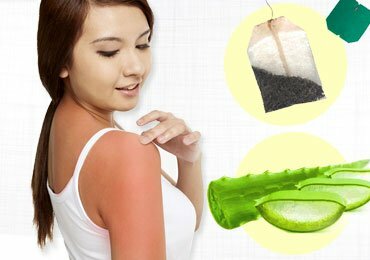 Soothe Those Summer Burns Away with Simple Home Remedies for Sunburn! Very Effective Home Remedies For Piles! 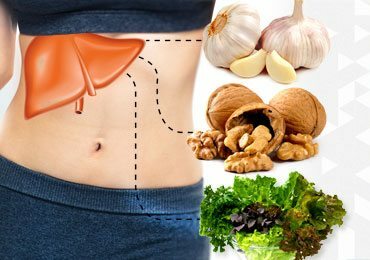 World’s Best Healing Herbs for Your Good Health of Kidneys, Lungs and Bones! 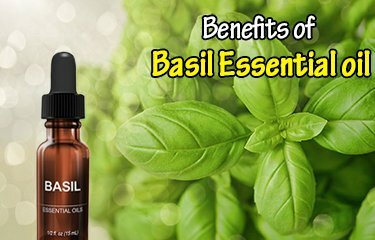 Basil Essential Oil: Benefits And Uses You Must Know! 10 Effective Home Remedies for Osteoarthritis!